Notes: Among some collectors this album is a holy grail. 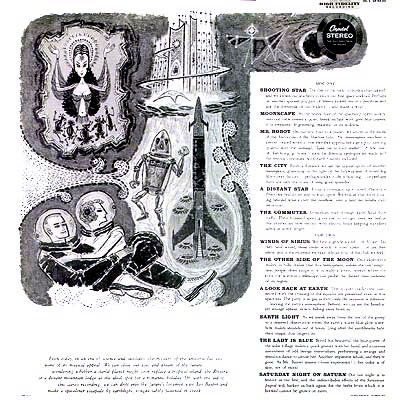 From the far-out front cover photo to the song descriptions on the back this is a science fiction sleigh ride. The music inside, though not as effect laden as I expected, is still a tad futuristic for the fifties. Les puts his orchestra through their paces and they come through once again. 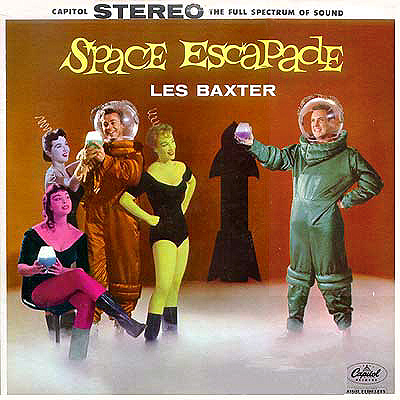 We may sit here in our snug little homes and dream of the future on a starlit planet or, to quote from the cover, "...with the aid of this stereo recording , we can drift into the future's lovemist with Les Baxter and make a spaceliner escapade by earthlight, tongue firmly fastened in cheek". A nice piece of the past.